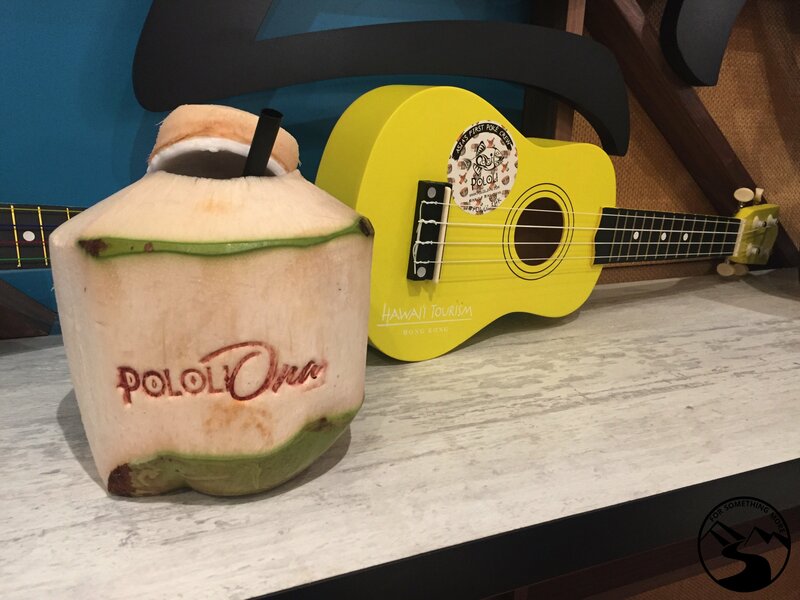 Pololi is a local haunt serving delicious poké, Hawaiian BBQ and refreshing drinks, and they’ve just opened their flagship store in Causeway Bay. However, they are no strangers to Hong Kong. Back in 2014, Steph Kudus, a banker-turned-entrepreneur founded Pololi and introduced Hong Kong to the wonderful world of poké: a healthy, protein-packed meal with fresh fish, umami sauces, and crisp greens. I first learned about poké at their takeaway shop in Wan Chai (which sadly no longer exists), and since then, I have been ordering my fix through Deliveroo Editions. When I learned about the opening of their flagship store, I was intrigued. I needed to go check it out. When I arrived, a smiling, Hawaiian-shirt clad staff member welcomed me with fresh coconut. 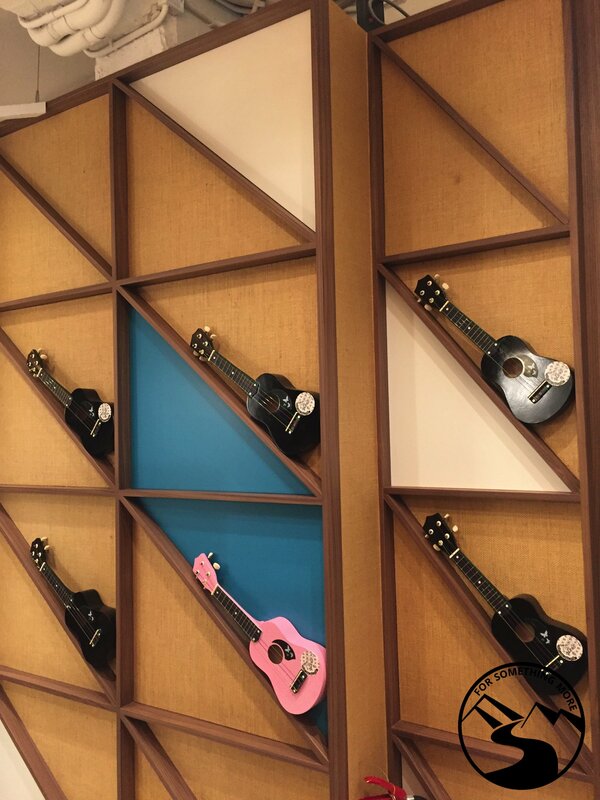 I could choose to sit inside with its cheerful atmosphere decorated with multi-colored ukuleles and cute pineapple cushions or do some serious people watching from their outdoor space facing Food Street. Inside the store is a long counter space filled with fresh ingredients to make a poké. 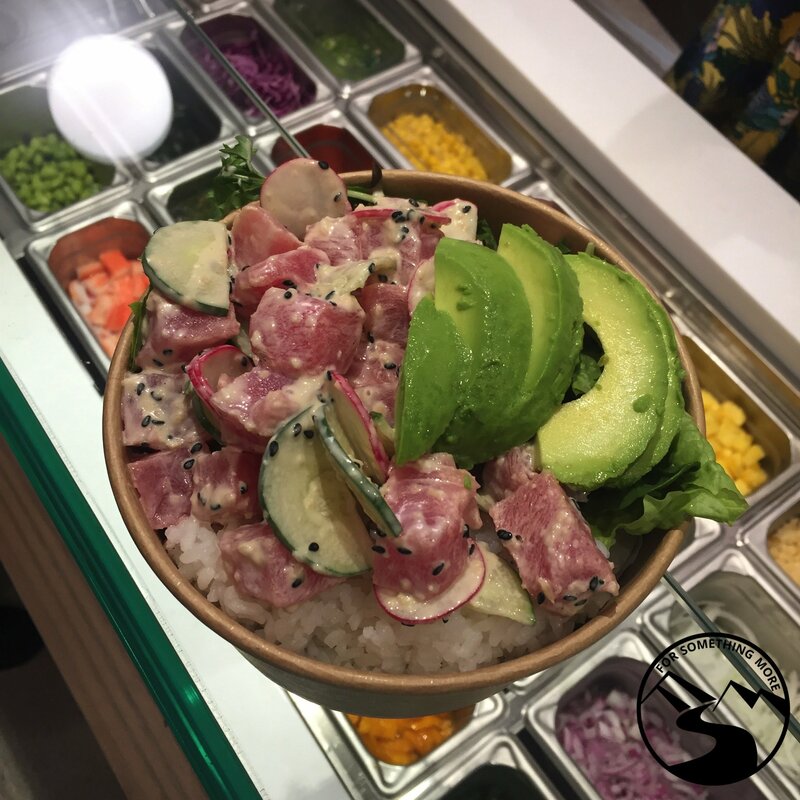 A poké consists of a base (brown/white rice or salad), protein (tuna, salmon, marlin, crabmeat, tamago cubes or tofu), tasty homemade sauces, and toppings such as kukui nuts, fried garlic, and pomegranate. 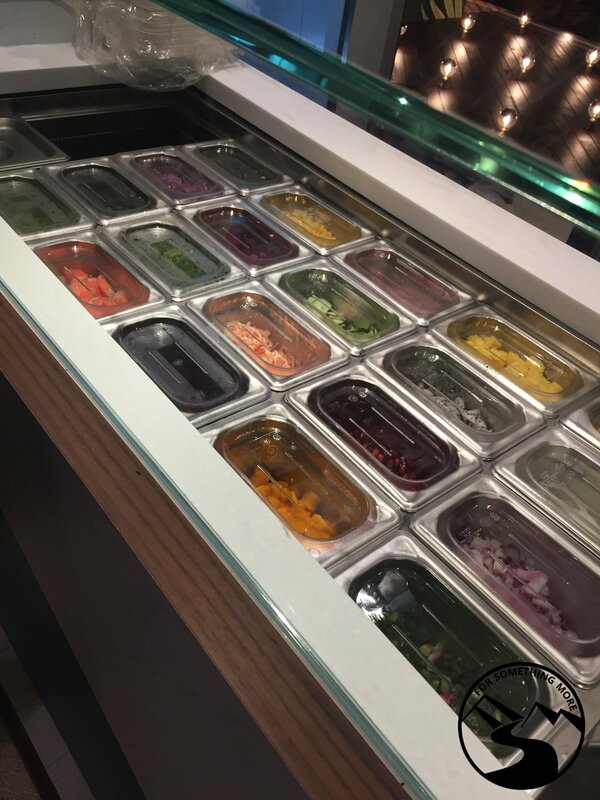 Customers can choose from the Pololi counter, which serves six different flavors daily, such as Avomayo, Thai and Wasabi Mayo, or they can make their custom poké from the Kai counter, with about 60 ingredients and toppings to choose from. 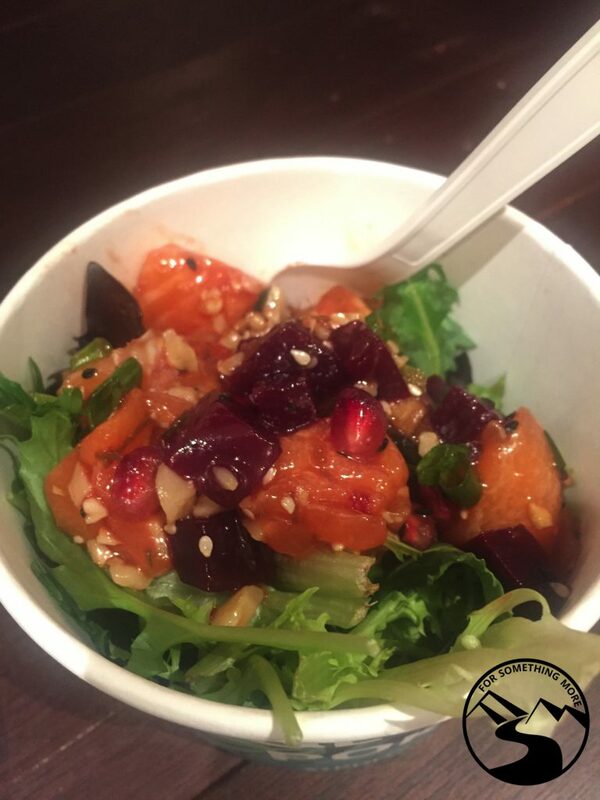 I created a custom poké with a salad base with Yuzu salmon kukui nuts, beetroot, and pomegranate. It was heavenly (and healthy). Other than good poké, I learned about Blazed, which is Pololi’s new Hawaiian BBQ menu. 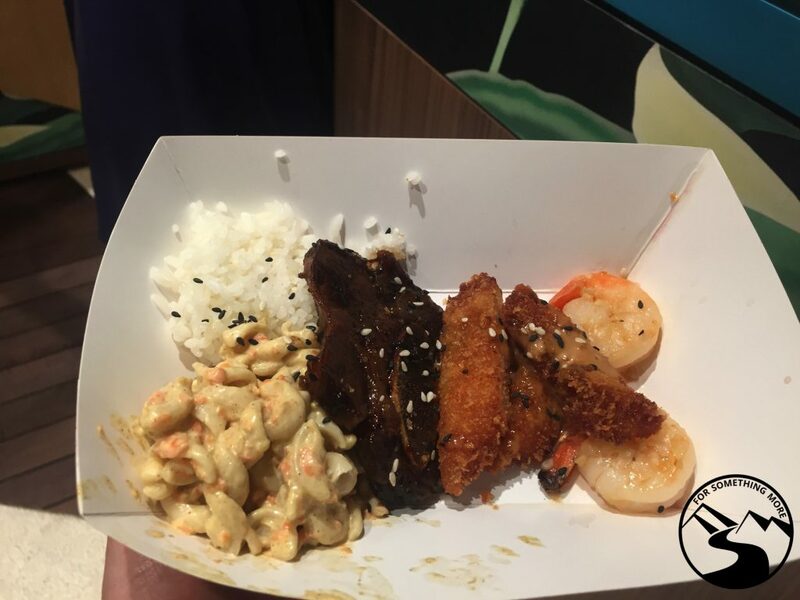 Customers can choose from items such as Sticky Icky Ribs, Garlic Crystal Shrimp, and Chicken Katsu served with a side of rice and Mac Salad. I am a fan of the Garlic Crystal Shrimp, seasoned with Hawaiian spices cooked to perfection. It goes down smoothly with their house drink, Hot Nail. Hot Nail is a rum-based cocktail made with Plantation 3 Star rum, homemade ginger mix, sugar syrup, lemon, and Averna. A nod to the Pontiac’s The Hob Nail, it is a tangy, refreshing drink, perfect for the blazing summer nights. 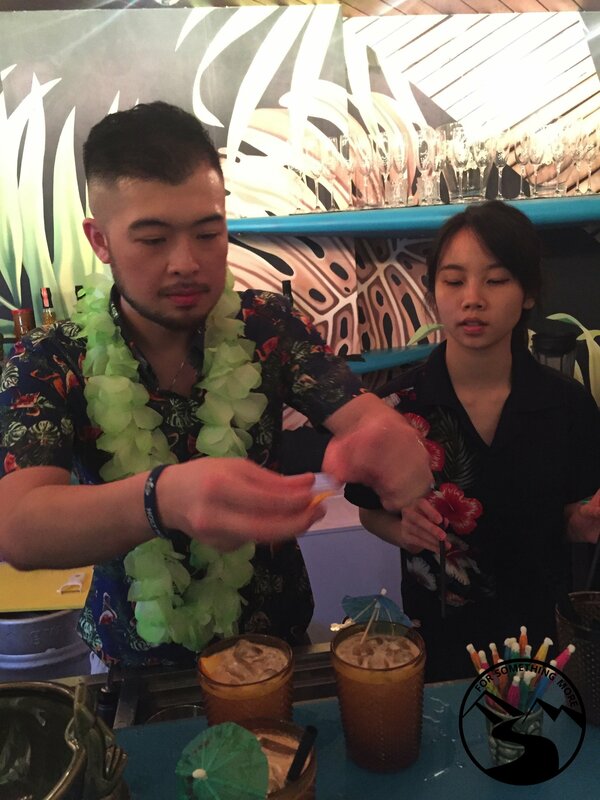 The concoction is created at Ona, a boutique bar located in the back of the store. 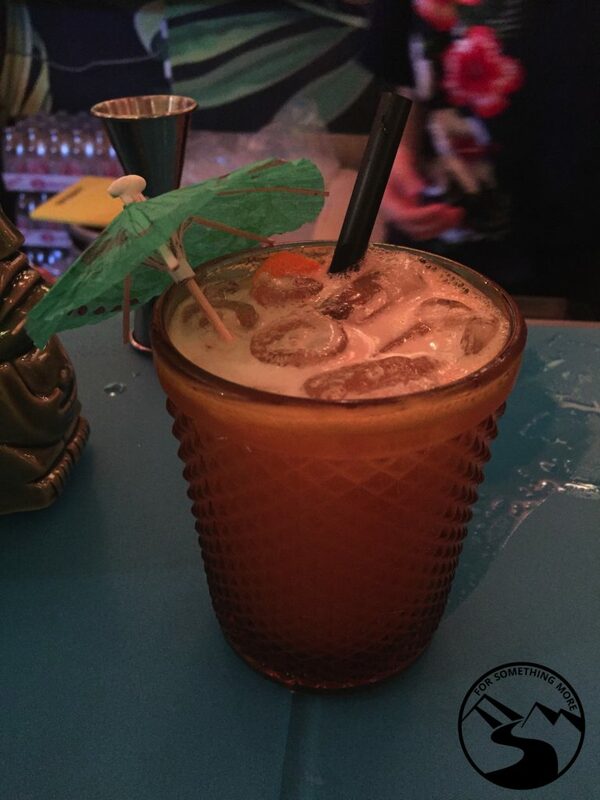 They have a selection of rum on a monthly rotation and Gweilo Beer on tap. The 1,200 square foot store feels spacious, thanks to the design by Aaron Chau and Jacqueline Wan of Twenty’o Eight Designs. Inspired by market stalls in Hong Kong, there are beige canopies throughout the store to mimic the vibe of an open-air market. At night, the canopies are closed, transforming the space into an intimate bar, which feels like the living room of a good friend who has a killer selection of rum and fantastic food. 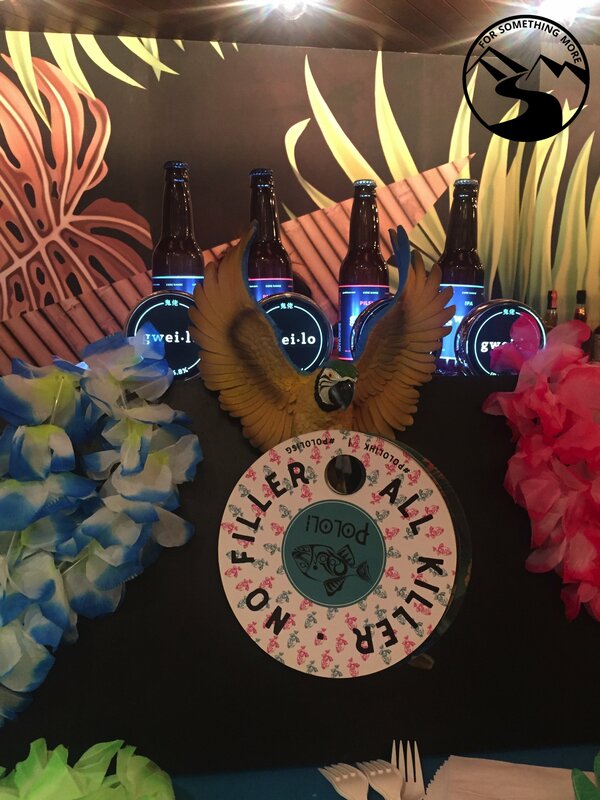 While waiting for my drink, I saw a plastic parrot mounted at their bar holding a sign “No Filler, All Killer,” which sums up my experience at Pololi. It’s a fun place run by people who love their food, drinks, and customers. No filler, all killer–Pololi is awesome! I am not going to lie, I’ve always loved Pololi. However, I love it even more now that I can have the Pololi experience in person—rather than eating my poké in front of my computer watching YouTube videos. Along with the new additions of the Hawaiian BBQ and the rum cocktails, I will make my way back to the flagship store soon. Let’s meet there after work! Kayo Chang Black is a librarian-turned-writer. Born in Japan to Taiwanese parents, she grew up in Vancouver, Canada. 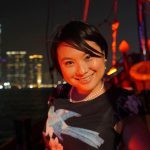 A self-proclaimed digital nomad, her career as an academic librarian took her to Dubai and Bahrain before she made Hong Kong her home in 2012. Since 2016, she has been working as a freelance writer. A lover of the arts and literature, you’ll find Kayo wandering around town making new friends with a book in tow.